Prof. Mathur joined the faculty in 1999. Her research is focused on observational studies of the matter content and thermal state of the circumgalactic and intergalactic medium, and the accretion rates, outflow properties, and scaling relations of supermassive black holes. She has made important contributions to the study of both narrow line Seyfert 1 AGN and broad absorption line quasars. Her work on X-ray and UV absorption lines has provided some of the first direct evidence of the warm-hot intergalactic medium, which theoretical models predict to be a major reservoir of cosmic baryons. 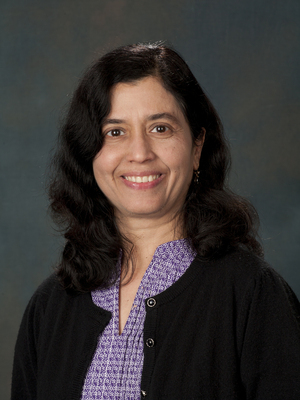 Prof. Mathur has recently focused on the warm-hot circumgalactic medium of the Milky Way. AGN Physics: Black holes, outflows, high-redshift Universe.